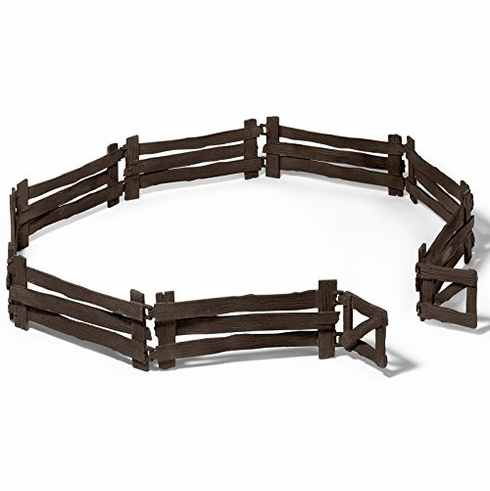 Keep your animals from escaping with the Schleich Fence. 8 x fence sections 2.95" tall. 1 x 2-piece gate 2.17" tall. Part of the Wild Life Accessory Series by Schleich. Made of synthetic material /plastic. Animals & Figures sold separately.